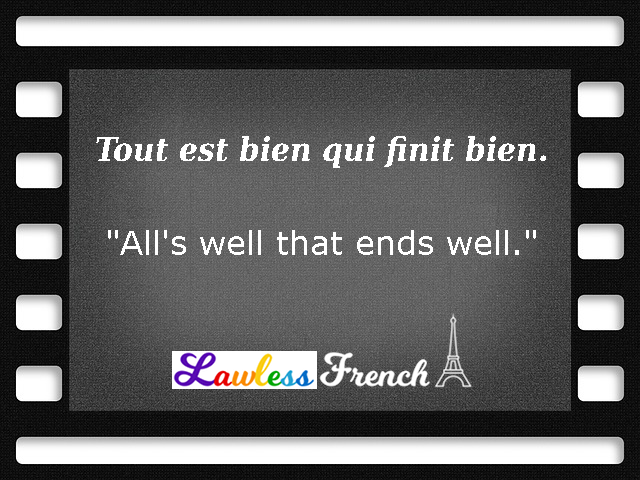 Usage notes: Tout est bien qui finit bien is one of the rare French proverbs that have a near-exact equivalent in English (and other languages). * In addition, the meaning is pretty straightforward: despite some difficulties faced along the way, a good result at the end makes it all worthwhile. J’ai perdu mon emploi dans l’usine un jour avant de trouver le boulot de mes rêves. Tout est bien qui finit bien ! I lost my job at the factory one day before finding the job of my dreams. All’s well that ends well! La fin justifie les moyens. – The ends justify the means. À force de taper sur le clou, on finit par l’enfoncer. (Québec) – Persistence pays off. Spanish: Bien está lo que bien acaba. Italian: Tutto è bene quel che finisce bene. Greek: Τέλος καλό, όλα καλά. 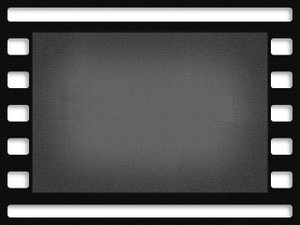 Know this expresssion in other languages? Post a comment below. The same proverb in norwegian: Når enden er god er alt godt.